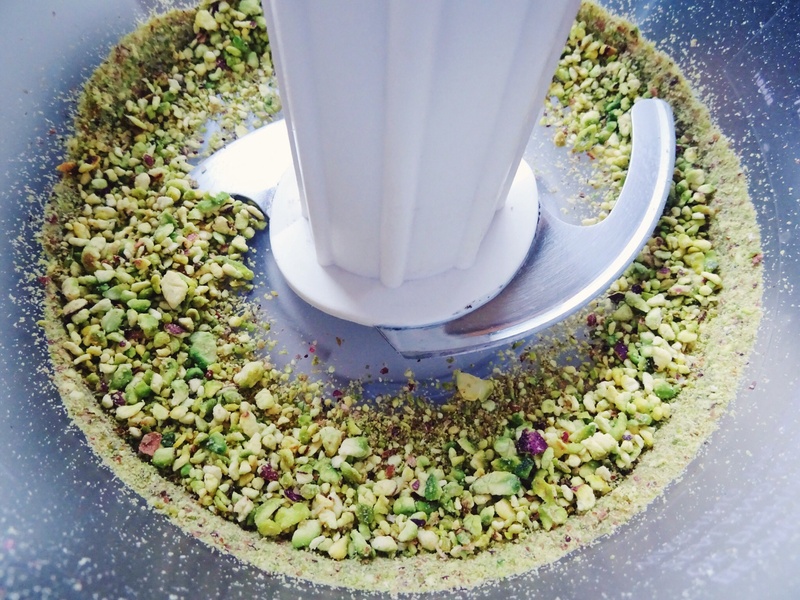 In a food processor, process the pistachio nuts in to a dense flour. Take out just under a 1/4 cup and leave aside for coating. 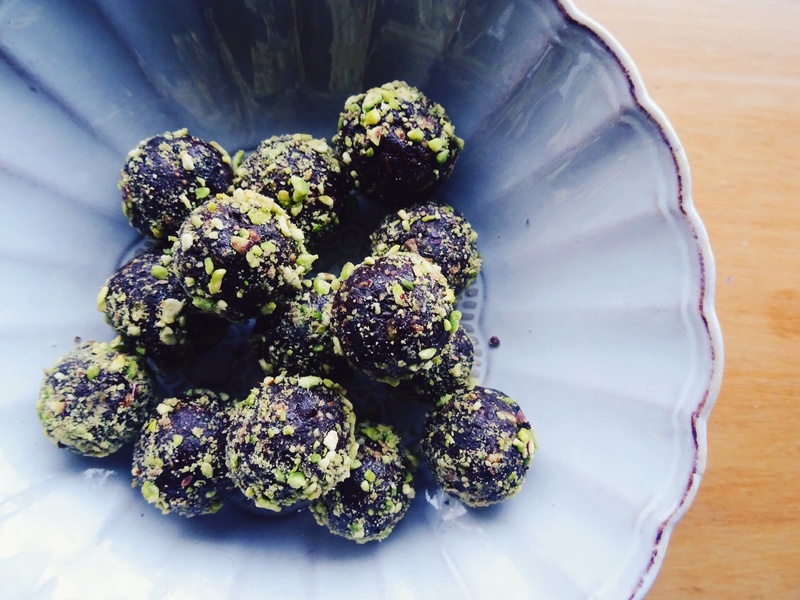 Add the cacao, prunes, honey and water to the pistachio nuts in the food processor and mix until a dough-like mixture is formed. Using your hands, roll mixture into small balls. To finish, coat balls with the extra ground pistachio. CAUTION: may attract mob of ravenous old folk. This looks divine! Will definitely be trying this soon! Thanks!